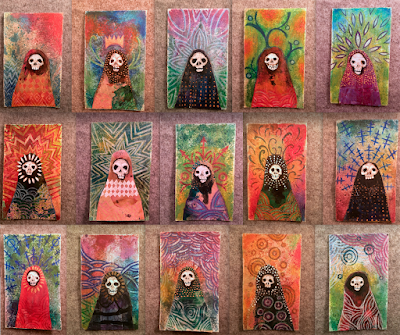 Skull Dolly collages by Andrew Thornton. After I released the Spirit Doll Series, I thought about how they reminded me of corn dollies and worry dolls given to expecting mothers. Both are connected to ideas of fertility and life. And the more I thought about it, the more that I thought about how there is no light without shadow. There is no life without death. And so... tired as I was, I got up and set to work. 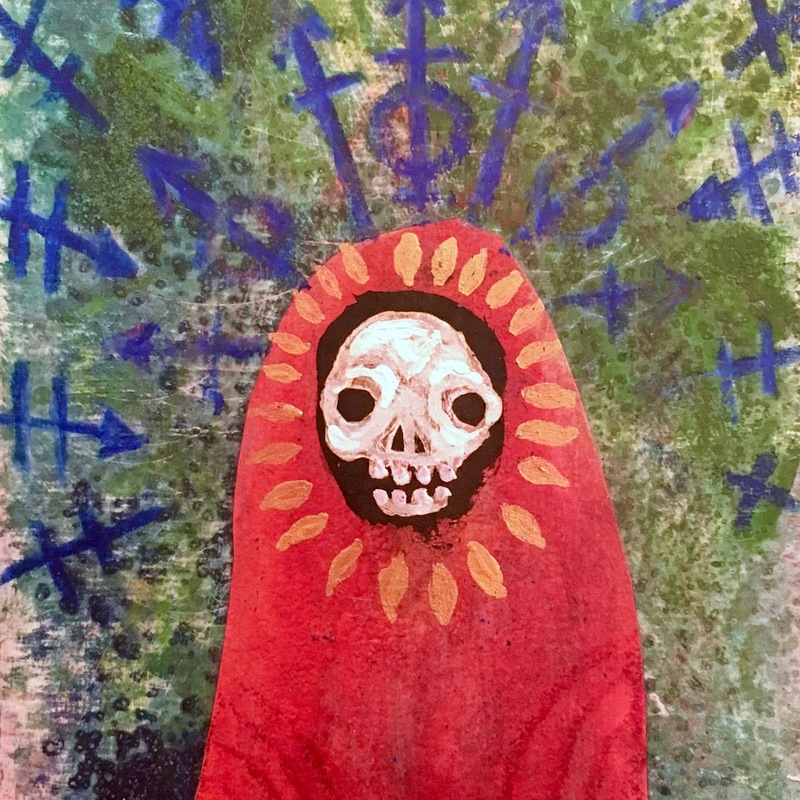 I made another series of affordable small-scale pieces. I call this collection, "Skull Dollies". Detail of Skull Dolly 15 collage by Andrew Thornton. When I work, I generally make a few extra if I can. It's not a lot of additional effort when everything is all set up and the process is in motion. Once they're complete, I have my pick of the litter for what I think will best suit a particular project or just strikes my fancy that day. 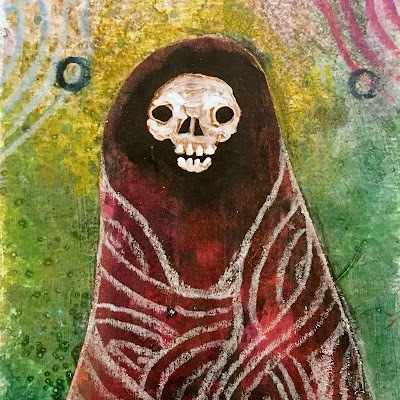 I had the backgrounds ready to go from working on the Spirit Dolls and once I had the idea to create the skull paintings/collages, I fell into work easily. There's something very satisfying about this format and size. They have a similar weight and feel as tarot cards. 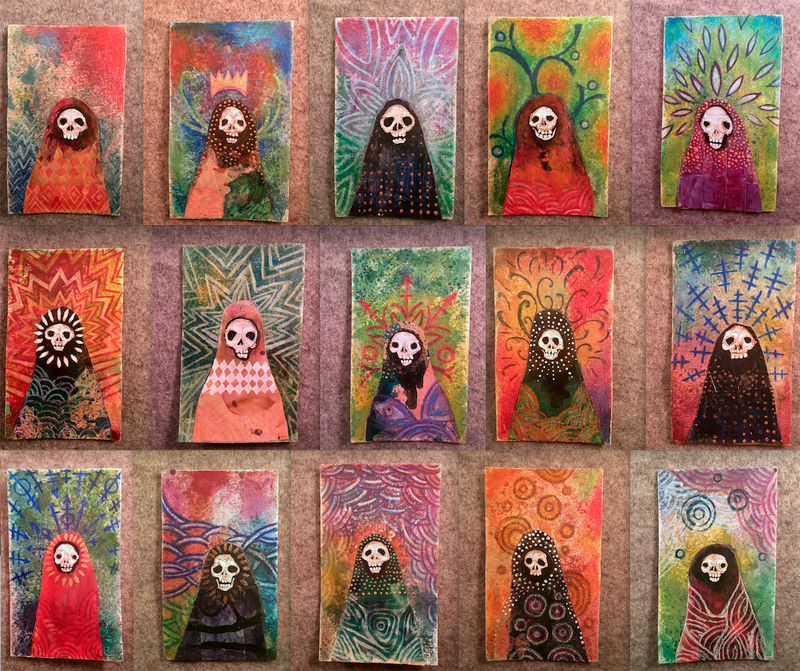 In making the Skull Dollies, I revisited some of the inspiration from the previous series and pulled new insight from Mexican sugar skulls, memento mori, and masks. CLICK HERE to see them in the online store. Update: They are all sold out! Many thanks to everyone who has expressed interprets in them. Detail of Skull Dolly 11 collage by Andrew Thornton. Spirit Doll collages by Andrew Thornton. Here is a series of affordable small-scale pieces that I created called, "Spirit Dolls". 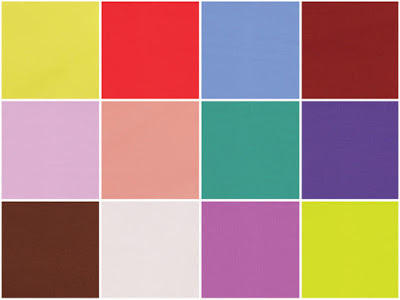 They're colorful and (hopefully) endearing with their little round faces and dreamy eyes. 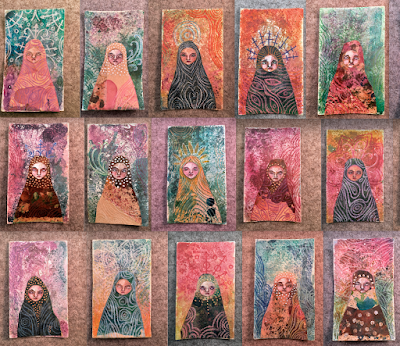 This collection was inspired by Russian nesting dolls, Prims (primitive Americana folk dolls/toys), Japanese kokeshi dolls, textiles, and previous bodies of work. 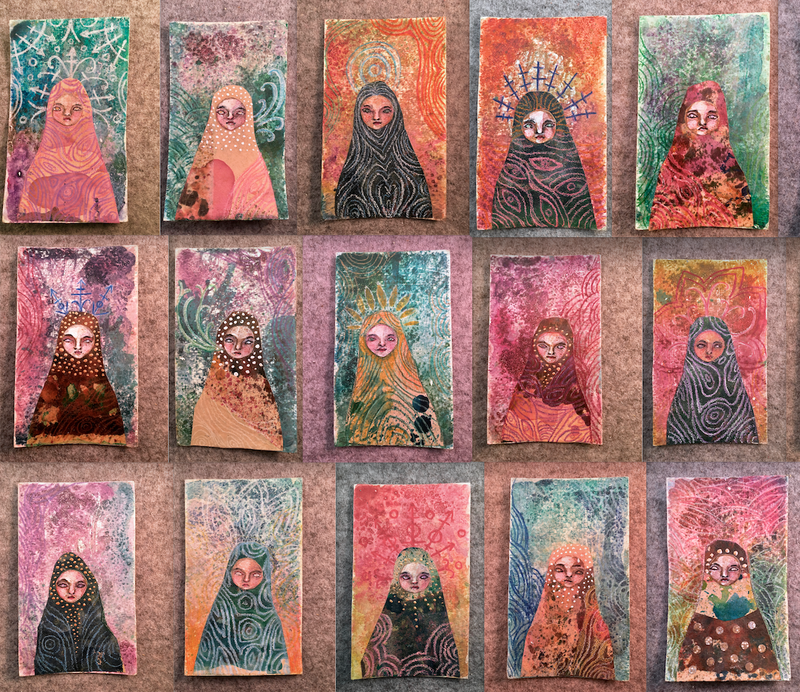 Each mixed media piece is composed of watercolors, acrylics, colored pencils, pen, ink, metallic pigment, salt, and collage on thick watercolor paper. The pieces measure 3" X 5" and are all priced $25 each. CLICK HERE to see them in the online store. Detail of Spirit Doll 10 collage by Andrew Thornton. One of the things that I've noticed in working with paintings and collages again and immersing in this process is that I've undergone a "great forgetting". I had to forget, in order to remember. Before I went to art school, I made things because I felt compelled to create them. 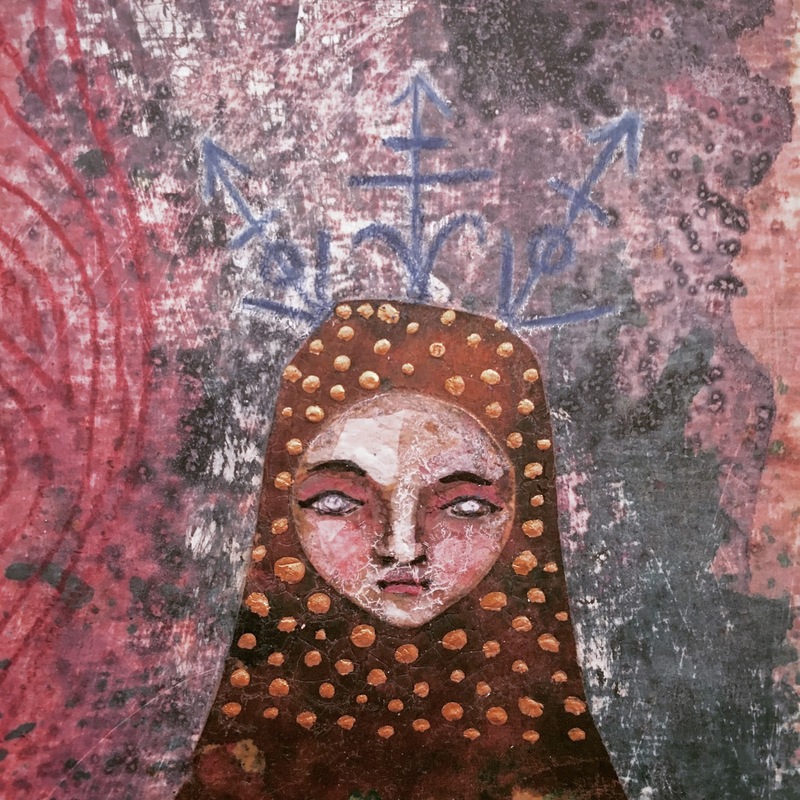 There was something deeper there – a connection to half-remembered dreams and swirling faces in the dark. And when I went to college, I learned a lot of new techniques, but I also learned a lot about art history and context and theory. While it was empowering in some regards, it also stifled me in others. I felt obligated to understand the artwork and be able to "Art Speak" about it. I worried not only if it was "good" or "bad", but I also wanted to make something that fit into this great big picture of thousands of years worth of human expression and idea. So, understandably (at least to me), I felt bogged down and burnt out. How can you fly when you're carrying so much weight around? Over the past decade, I've been consciously unlearning and untraining myself. Instead of seeing something and cross-referencing it with manifestos and movements, I've tried to see the "beauty" in it first and be guided by my dreaming self, more intuitive and subconscious and less critical. The things I've learned are still there, but I want them to take a backseat to the things I've felt instead. But it's liberating to finally sort of feel like my old self again. Hello, stranger! It's been awhile. 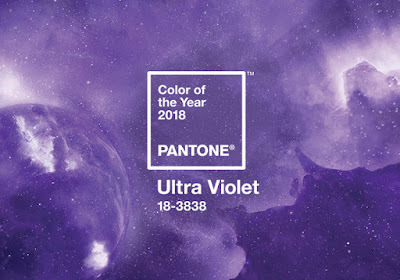 Ultra Violet! Earlier this year, I noticed that this was one of the few colors that appeared on both the New York Color Report and the London Color Report. 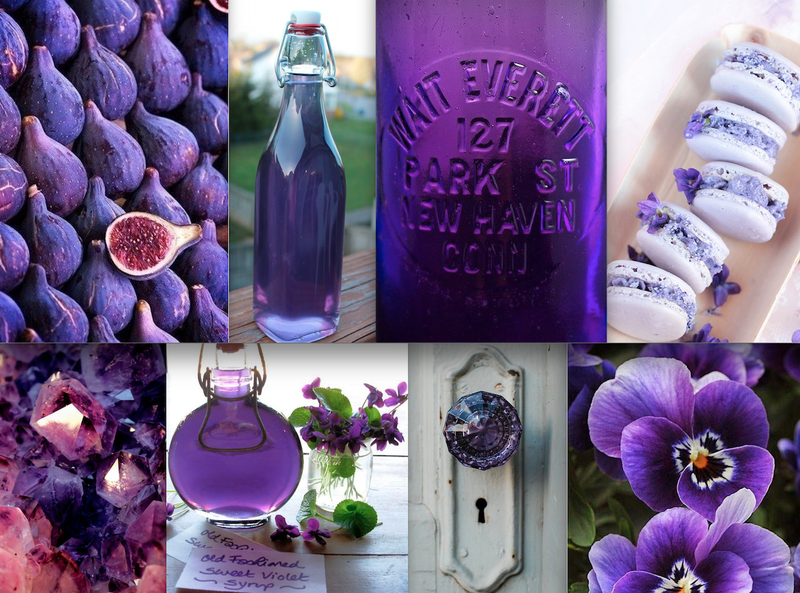 It's a dreamy shade of purple with a cooler base. Leatrice Eiseman, the Executive Director of the Pantone Color Institute, said, "We are living in a time that requires inventiveness and imagination. 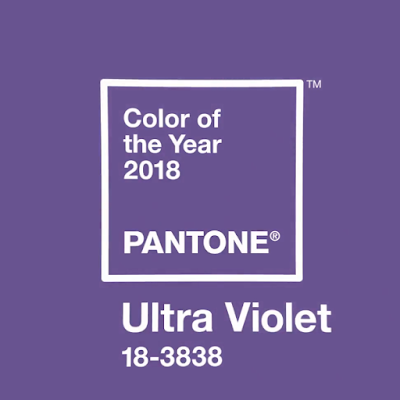 It is this kind of creative inspiration that is indigenous to Pantone 18-3838 Ultra Violet, a blue-based purple that takes our awareness and potential to a higher level. From exploring new technologies and the greater galaxy, to artistic expression and spiritual reflection, intuitive Ultra Violet lights the way to what is yet to come." When I was young, I was a lonely child. I would perch myself on top of the wooden fence and would try to entice the children from the daycare center next-door to talk to me. I would offer gifts of tangerines as bribes. If they wouldn't succumb to citrus, I would hold their toys hostage. "Play with me or I'll bury your action figure." When I got older, the wooden barrier was replaced with an invisible one. Instead of gifts of fruit, I would offer up other things. I would dangle my time, my energy, myself. And if that didn't work, clearly it was them... not me. I had always wanted others to like me. I would go to such incredibly stupid lengths to get people to acknowledge and accept me. Like me. Be my friend. Give me the love that I can't give myself. When you claim your personal power, it becomes apparent that not all relationships are healthy ones. Healthy relationships build off of each other and grow exponentially. The energy in a healthy relationship is cyclical and builds momentum and force. There's a magic in finding others who click. Once we find others who we click with, it's so tempting to try to hold on and never let them go. But sometimes relationships are like leaves. We want to hoard them, pressing them between the pages of a book, and keeping them frozen in time. But these golden moments don't last forever. Even with the utmost vigilance, they can fade and become brittle. I remember finding a dictionary at an antique store once and within it were pressed flowers. Such a lovely discovery, but the moment I opened it, they started to fall apart and disintegrate. 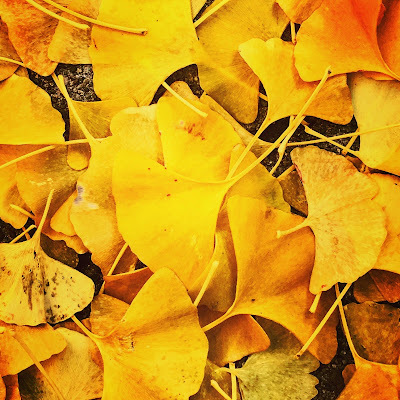 Sometimes those leaves must be given back to the earth so that they take their role in a bigger cycle of growth and decay and renewal. 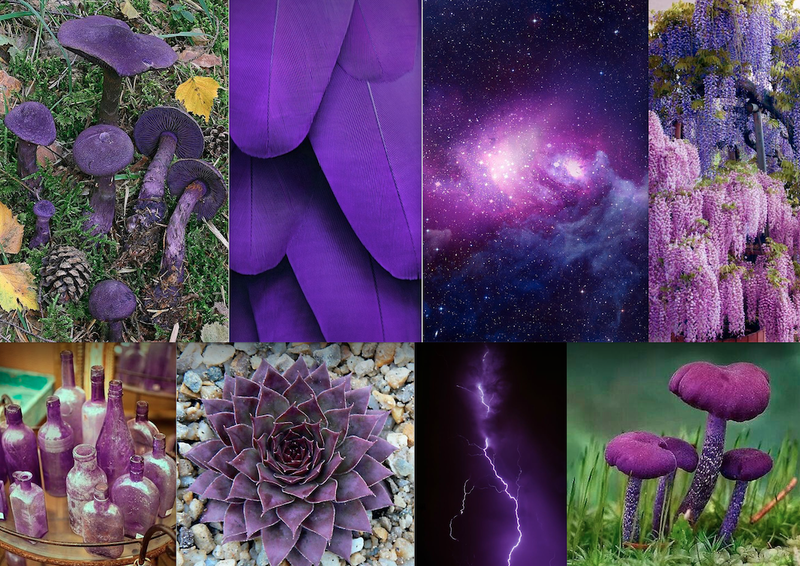 Everything has a season. Upon learning of a friend's death, I am reminded of this. Cherish the people in your life that make you MORE. Honor the time you have together and be the best person you can be – not only for others in your life, but for yourself as well. Drink in the nourishment of the people and experiences that enrich your life and be thankful for their gifts. Their time with you may be short, shorter than anyone could ever predict.